PHOTO: Allen Ramsey, DWCPhoto.com. Highlands junior Nick Gish (7) plays the ball against Beechwood last year. Gish is one of the returning starters promoted Head Coach Chad Niedert will be working with this fall. Head coaches often say they want to leave the program in better shape than what it was when they took over. Recently-promoted Highlands Bluebirds soccer head coach Chad Niedert found himself taking over a struggling program in his first head coaching stint in 2013 as the new head coach of the North Oldham Mustangs. The Mustangs struggled to a 5-12-2 season in 2012 losing in the first round of the 29th District to Oldham County, 3-0. But Niedert guided the Mustangs to a 15-win improvement in his lone season as head coach there. North Oldham finished 20-5-1 the next season winning the 29th District and 8th Region crowns. The Mustangs then defeated 5th Region champion Central Hardin, 2-1 on penalty kicks in the first round of the state tournament before losing 1-0 to 4th Region champion Bowling Green on penalty kicks in the state quarterfinals. After a year off from coaching, Niedert decided to go back into education. He landed a job at Highlands as an assistant coach in 2015 and teacher at the high school. Niedert completed his second season as an assistant this past fall. Niedert, a former Xavier player from Lake Oswego (Illinois), finds himself in a much better situation than the one he took over at North Oldham. The Bluebirds finished 18-3-2 last year winning the 36th District championship before losing to host Ryle, 1-0 in the 9th Region semifinals. Highlands took out Beechwood, 4-0 in the region quarterfinals for its first region tournament win since winning the region in 2013. Niedert hopes to help lift the Bluebirds back to the top of the region then bring home that elusive state championship. Like the baseball and basketball teams at Highlands, that's the lone team thing that has not been accomplished. Highlands finished state runner-up to Louisville St. Xavier in 2008. Highlands hoped to achieve the first-ever state championship in boys soccer in Northern Kentucky. But Covington Catholic beat everyone to the punch in 2015. The Colonels turned around and finished state runner-up last year. Highlands beat the Colonels, 2-1 on Sept. 13 in Fort Thomas. "It's really exciting overall," Niedert said. "I've worked closely with the guys the last year or two. There are some guys who don't have a lot of varsity time under their belts. But I think we'll be able to get some guys going early on." 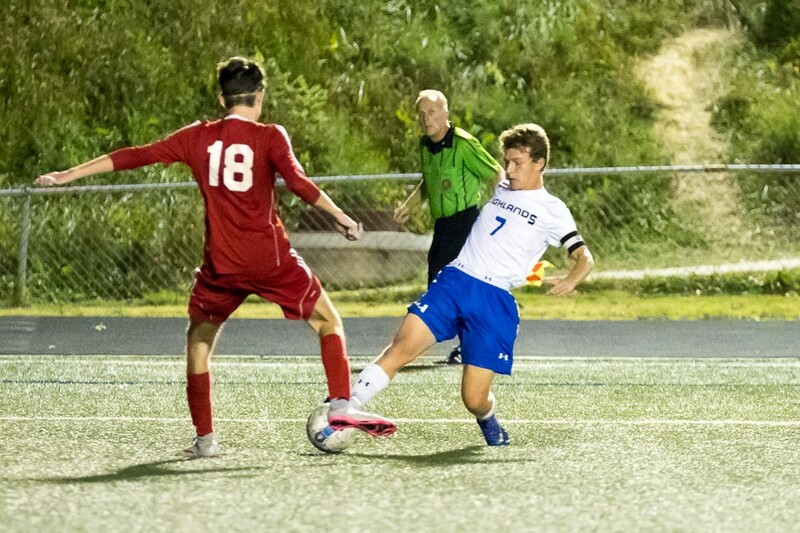 The Bluebirds graduated 11 seniors from last year's squad including their leading goal-scorer in Solomon Farris with 17 in addition to their two goalkeepers in Simon Frink and Paul Tully. Highlands will build around the likes of midfielders Nick Gish and Drew Rom. The Bluebirds will pull up from a junior varsity team that won the 9th Region JV Tournament. Gish said the returning players are glad the administration promoted Niedert from within the program. "I think having (Coach) Niedert coach for the few years that he already has will help because we know the style that he likes to play," Gish said. "He already know how we act and things like that. I feel like will help us become a closer team and be able to get wins. I think (Coach) Niedert is really positive toward soccer. He loves the game. I asked him when he got the job, 'Are you ready for next season?' and he was stoked more than I was. He just knows he can bring some kind of spark for us." Highlands played solid defense last year recording 16 shutouts. The Bluebirds outscored opponents, 72-16. Niedert hopes to see Highlands play fearlessly. But he assured people that fearlessly is not as negative as it may sound. "It drives me nuts because you'll see some teams and they're worried about a teammate or coach on their neck negatively," Niedert said. "So when I say fearlessly, I mean being willing to take chances. Soccer is such a dynamic game when you compare it to other sports. You're not calling in plays from the sides. In order to be successful especially offensively, you have to be willing to take chances and do what you can with the opportunities that present themselves." The Fort Thomas community has a strong youth soccer program. That has been a key to the success of the Bluebirds because the coaching staff can teach them game situations more than fundamentals. "Most of these guys are playing club soccer when they're not playing high school soccer and they've been doing it for a handful of years," Niedert said. "We don't have many players that only play or have only played high school soccer. Most of them have done their technical development elsewhere. What that allows us to do is develop them tactically so we don't have to worry so much about teaching somebody how to pass the ball, how to receive the ball, how to cross the ball and when to do it. It's about how the team plays as a unit as opposed to the individual strengths and weaknesses." In addition to Matthew Winkler resigning after seven years as head coach, JV Head Coach Neal Frink also resigned. As of now, last year's freshman head coach Matt Stephens and goalkeeper coach Eric Fessler are still on staff. Niedert said they may have the same or different roles next season.